Ava DuVernay and Warner Bros have a new show in the works. 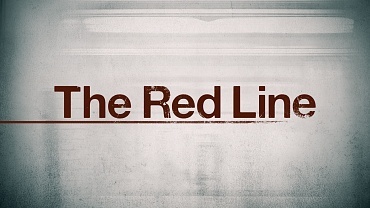 CBS‘s The Red Line, a TV show that will debut next year is now filming in the Chicago area and there are casting calls out for area locals that are available for TV extra work in the Chicago area. According to the show’s IMDB page, Red Line stars Noah Wyle, Emayatzy Corinealdi, Aliyah Royale, Noel Fisher, Vinny Chhibber, Howard Charles, Elizabeth Laidlaw and Michael Patrick Thornton. That’s right, ER’s star Noah Wyle has snagged the lead role in an upcoming drama, Red Line. Seems that Noah Wyle plays Daniel Calder, a high school teacher whose black husband is shot and killed by a white Chicago police officer, leaving him a single parent to their adopted daughter. Red Line follows 3 families in the aftermath of a horrible police shooting that leaves a man dead and the families trying to cope with the aftermath. The Red Line is written by Caitlin Parrish (Supergirl) and Erica Weiss and is produced by Ava DuVernay, Greg Berlanti, and Warner Bros. Television. We will be in contact with you via POP if you are in consideration. We will send a specific availability check once we know what date the scenes are filming.